Need Electrical Wiring in Athens, GA? 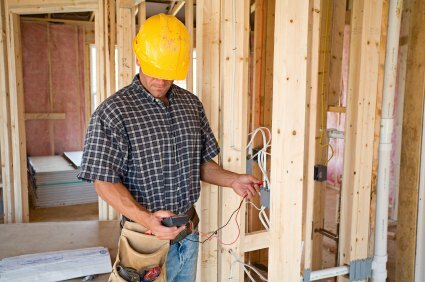 Replacing the wiring in Athens, Georgia homes requires the services of an experienced electrical contractor. Meehan Electrical Services offers the Athens wiring expertise that residents are looking for, whether they’re completing a wiring upgrade or installing new electrical services. Meehan Electrical Services technicians have years of experience in the neighborhood, and know the Athens electrical codes inside and out. Knowledgeable electricians are ready to help with your wiring project, offering affordable solutions that will improve the value of your Athens property. From the initial permit application, right through to the final inspection, Meehan Electrical Services's Athens electricians help Athens residents complete wiring projects with care and expertise. Established in 1960, Meehan Electrical Services has the experience your project deserves. Expert electricians are skilled in wiring replacements, repairs and installations, and Meehan Electrical Services has served the needs of Athens residents for years. Meehan Electrical Services also stays up to date with current industry knowledge, an important commitment in this fast moving industry. Invest in a company you can rely on for your Athens wiring project. Our solid service reputation allows you to trust in the work of Meehan Electrical Services. Reliable wiring materials and professional installation come together in Athens homes and businesses, with Meehan Electrical Services’s well earned reputation backing up the job. For wiring upgrade projects or new wiring in Athens, GA, the knowledgeable staff at Meehan Electrical Services have the expertise and service reputation you need. Call today at (706) 717-4947 and arrange for your free estimate.